Former Manager of Keio University Baseball Club and Secretary General of Baseball Federation of Asia died of pneumonia on January 7, 2016 in Kawasaki at the age of 85. After graduating from Keio University, Mr. Maeda continued to play baseball briefly in the industrial league in Tokyo, and became Manager of prestigious Keio University’s ball club at the youthful age of 29 in 1960 for 5 years and again from 1982 to 1993. He won Tokyo Big-6 League’s Championship 8 times and All-Japan University Championship twice and Meiji Jingu Invitational National University Championship twice during his tenure. True to the tradition of Keio, Mr. Maeda was an advocate and practitioner of “Enjoy Baseball” philosophy as opposed to focusing on victory, and emphasized that school education is as an integral part of student baseball. In his book “Baseball and I”, he proudly remembers that all of his players graduated from college, albeit some were held back a year or two. 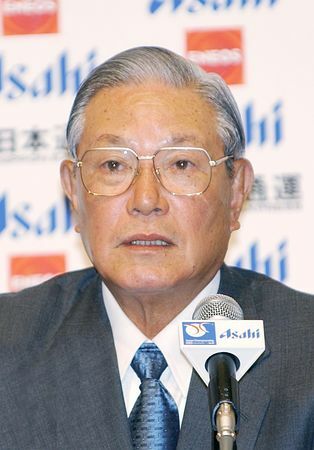 After resigning his post at Keio University, Mr. Maeda was asked to serve as head of performance development committee for Baseball Federation of Japan, subsequently appointed Secretary General of Baseball Federation of Asia (BFA) chaired by late Mr. Eiichiro Yamamoto in 1997, and retired from his official duties after attending the15th Asian Games in Doha, Qatar in 2006. During his term in office, he communicated closely with the 20 member countries/regions (currently 24), in particular, developing nations. Major Asian baseball powers; Korea, Taiwan and China supported his endeavors. His assignment required pre-game inspection of the venues as well as presence at the tournament extending from Djakarta, Indonesia, Chandigarh, India, Bangkok, Thailand. He travelled to Ulaanbaatar, Mongolia for clinic prior to their participation of its high school national team to Asian Championship in Osaka. Beneficiaries of his baseball coaching include Sri Lanka and Myanmar. He initiated donations of balls, bats and used equipment to many countries including Africa. This experience made him acutely feel the need for baseball to return to the Olympic Games so that the National Federations may obtain basic funding for their domestic and international activities. In July, 2006, he acted as chairman of the organizing committee for the 17th World Children’s Baseball Fair in Hokkaido, presided by Mr. Sadaharu Oh, and served on the advisory board of the Japan KWB Baseball Federation under Mr. Tsutomu Shida. In April 2013, Mr. Maeda was honored with the well-deserved Presidential Award at the BFA Congress held in Tokyo. Funeral service will be held in Tokyo on January 16 with Mr. Akira Maeda, eldest son, as the chief mourner.